A Nazi POW camp, where already before the outbreak of World War II several thousand Czech prisoners were detained. After the September 1939 campaign, approximately 7,000 Poles were held here as well. In total, more than 70,000 soldiers of different nationalities were imprisoned in the camp (including the Polish militants captured after the Warsaw Uprising of 1944). 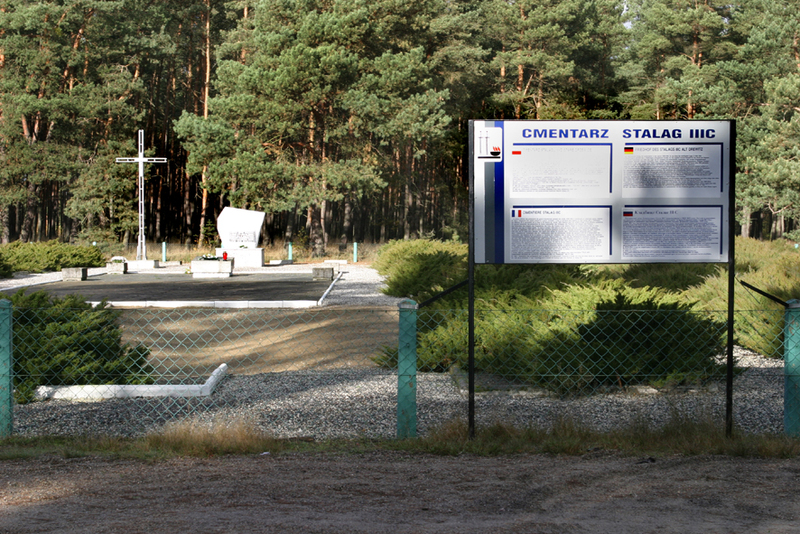 The Stalag III C cemetery was cleaned up in 1962. The murdered POWs and those deceased due to illnesses are buried in six mass graves. A monument depicting three busts of prisoners of war commemorates their deaths. In 1966, French veterans who had been prisoners of the camp founded a commemorative plate that reads: “In honor of all our colleagues who died in captivity. Pilgrimage of French prisoners of war in 1962 and 1966”. In 1989, the Association of Veterans in Kostrzyn funded a commemorative metal cross placed in the south-west wing of the cemetery as a tribute of the Kostrzyn community to the courage and sacrifices made by the victims of Stalag III C. Access to the camp is possible via the asphalt road from the center of Kostrzyn to the hamlet of Szumiłowo, taking the Namyślin road; signposts pointing to the cemetery are visible along the road.